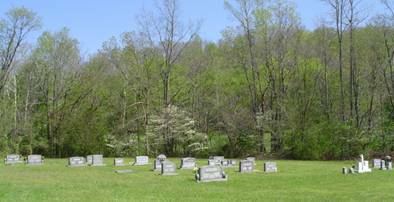 The Ralph Cole Cemetery is located west of Waynesboro, Tennessee on highway #64. To reach the cemetery, from the courthouse square in Waynesboro, travel old highway 64 west for approximately 1 ¾ miles to the intersection with the new portion of highway 64. Turn left and go west approximately 3.6 miles, just past the J.R. Cole Memorial Bridge. The cemetery is on the left beside the road. There is ample room for many more burials here. Cole, Della I.; b. 22 Oct 1922, d. 03 Mar 2011, wife of Don H.